Thank you Kathy for your lovely comment and support! Thank you Jane for your kind comment! Thank you Steve! A memory such as this lasts a lifetime. I think the canoeist just sat back in awe of the beauty before him. Wow, I absolutely love the feel of this, and light! Fabulous image! L/F!! Wonderful use of light! Thanks for entering this in the How I Use Light to Create Art contest. Thank you Randi for your lovely comment! Thank you Gene! This is my all time favourite image and I believe I will remember this moment in time forever. Thank you Barbara Chichester for featuring "Canoeist on a Golden Misty Morning" in the MOTIVATION MEDITATION INSPIRATION Group! Very much appreciated. Beautiful work!! Greetings from NC!! Thank you very much AR! Thank you very much Eszra! Gorgeous capture! Amazing detail with the reflections on the water! Awesome image. Congratulations on your contest win. Thank you David and Carol for your kind comment! This is one of my favourite's and have large print of this peaceful scene in my living room. Whenever I view it, it transports me to a place of peace and serenity. Thank you very much Janette for your lovely comment and support! 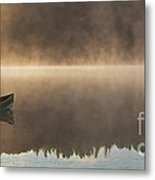 Thank you Marinescu Dan for featuring "Canoeist on a Golden Misty Morning" in the Premium FAA Artists group. Thank you kindly Mahmoud for your lovely comment and support! 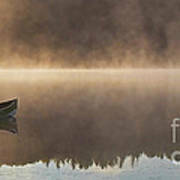 Thank you Roxie Crouch for featuring "Canoeist on a Golden Misty Morning" in the Artwork for Cabins Cottages Group! Much appreciated. 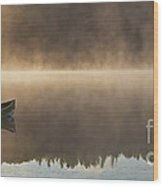 Thank you Les Palenik for featuring "Canoeist On A Golden Misty Morning" in the Algonquin Park Group! Very much appreciated.